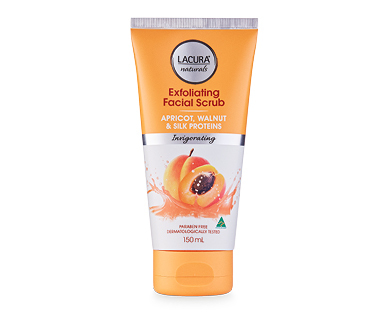 The LACURA® Naturals Exfoliating Facial Scrub is a deep cleansing scrub with natural walnuts shell exfoliating powder. Helps remove dead skin cells and impurities, leaving skin smooth and invigorated. Apricot extract and Vitamin E to revitalise and rejuvenate.